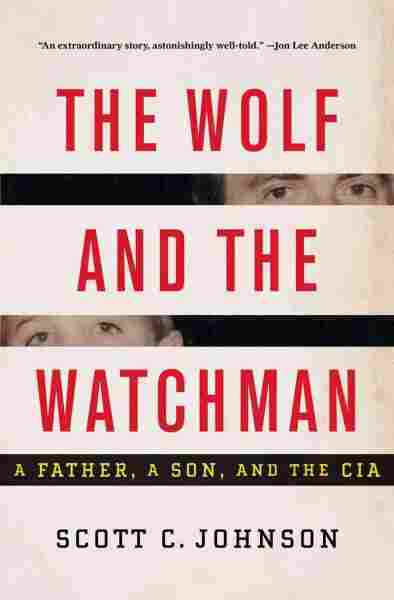 Interview: Scott Johnson, Author Of 'The Wolf And The Watchman' When Scott Johnson was 14, his father told him he was a spy for the CIA. At first it was exciting, but as Johnson grew older, he began to wonder just how much his father was keeping from him. In The Wolf and the Watchman, Johnson explores their complicated relationship. When Scott Johnson was a kid, he wasn't really sure what his dad did; he was either a teacher, a diplomat or a foreign service officer. But one morning, when Johnson was 14, his father decided to tell him his real job: He was a spy for the CIA. At first it was exciting, but as Johnson grew older, he began to wonder just how much his father was keeping from him. He tells the story of their complicated relationship in a new memoir called The Wolf and the Watchman. Johnson writes about coming to realize that his own career wasn't entirely unlike his father's. 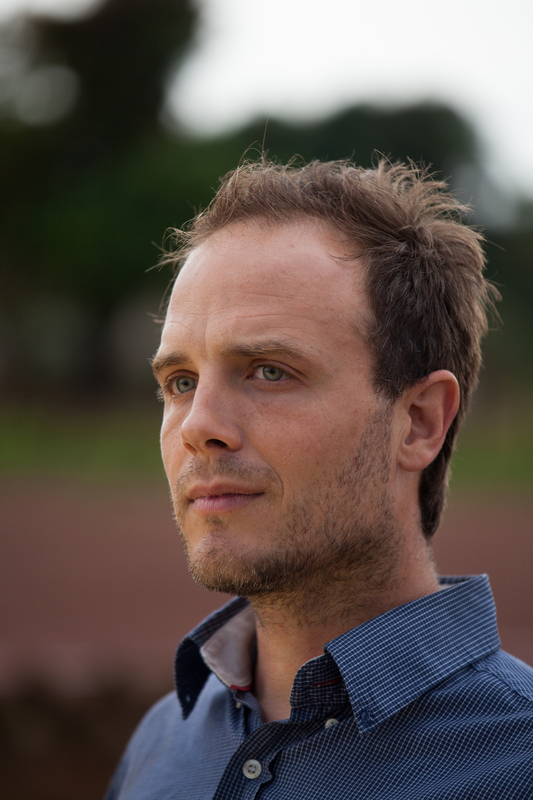 He spent 12 years as a foreign correspondent for Newsweek covering conflicts like the wars in Iraq and Afghanistan. 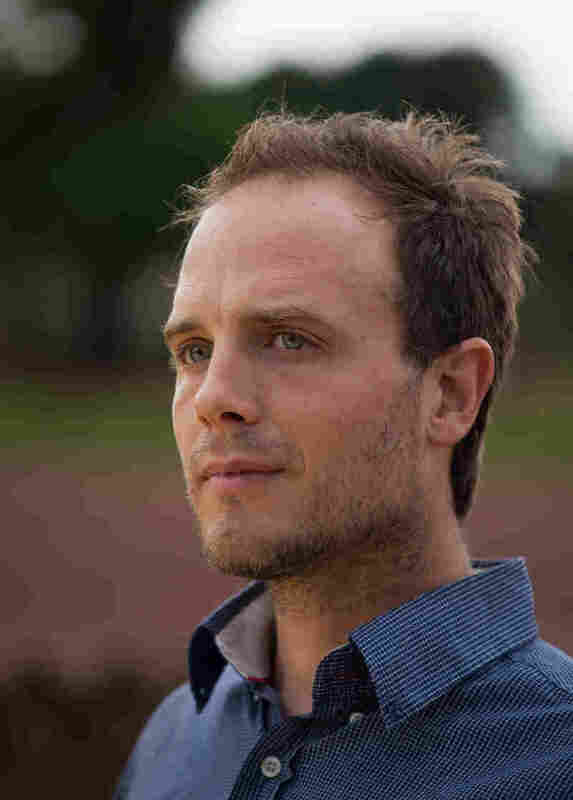 He tells NPR's Rachel Martin that he was drawn to journalism because the idea of telling the truth about the world, getting secrets from people and sharing them with a larger audience was liberating. But, like his father, he was still trafficking in the world of secrets. "I came to understand ... just how similar these two professions are in many ways," he says. Johnson tells Martin about the day he discovered the truth, how a woman in Mexico inspired doubts and how his father critiqued his manipulation skills. "So I thought, Uh oh, you know, this is gonna be another lecture or something about my school performance. And instead he said, you know, 'I have to tell you something. It's not bad, but it's serious.' And so I said, 'OK.' And then he said — well, he asked me a question, he said, 'Scotty, do you know what I do for a living?' And I said, 'Well, yeah, you're, you know, you're in the foreign service.' And he said, 'No.' And then he kind of got this grin on his face and he said, 'I'm a spy.' And I remember my immediate reaction was, 'You mean like James Bond?' And he started laughing, and he said, 'Yeah. Just like that.' Then we both started just laughing and we burst out into this kind of hysterical laughing fit for a while. And then he took me up to his office." "It was sort of years, perhaps, of pent-up curiosity, and maybe some tension even, around that issue. It was sort of a nervous laughter the way that, you know, an uncomfortable disclosure is sort of funny." "It really happened when I was in my mid-20s. For most of my life, you know, my father and I were very close, and we actually remain very close today, but for most of my life I trusted his version of events implicitly. And then in my mid-20s I was in Mexico and I met a woman — I was very smitten with her. And she had this incredible story of growing up with a father who had been a sort of a guerilla. He was a Stalinist in the 1960s. And my father had lived in Mexico in the 1960s, too, and it was where he was recruited into the CIA. And so in the course of getting to know this woman I sort of came face to face with my father's past because I started to find out about all kinds of things that were happening in Mexico in the 1960s that really started to trouble me. Trevor Snapp/Courtesy W.W. Norton and Co.
Scott Johnson is a freelance journalist and writer living in Oakland, Calif.
"... A lot of people were imprisoned, including this woman's father. And that really bothered me because I started to think, Could my father — is it possible that he could have been involved, more involved than I had thought? And I started investigating it and digging into it like a reporter." Martin: "In the end, it didn't pan out — the things you suspected him of doing didn't happen." "My father and I are really quite different in that way. For most of my life I would tend to be a very blunt person. If I wanted to know something I would just ask or I would press him — and not just him, anybody. And I wouldn't sort of hold my curiosity in check. And at one point my father told me, he said, 'You know, you really need to work on your elicitation skills — manipulate the other person into coming to you when they feel comfortable.' "
"Oh, absolutely. He made a vow and an oath to his country, and he didn't disclose anything that he shouldn't have. You know, as I said earlier, I had this desire to sort of crack him open, but that was much more centered around what employment with the agency had done to him as a human being — [compartmentalization] ... and also a certain kind of control, or self-control. And it was the way that those things manifested in our life that I wanted to understand."